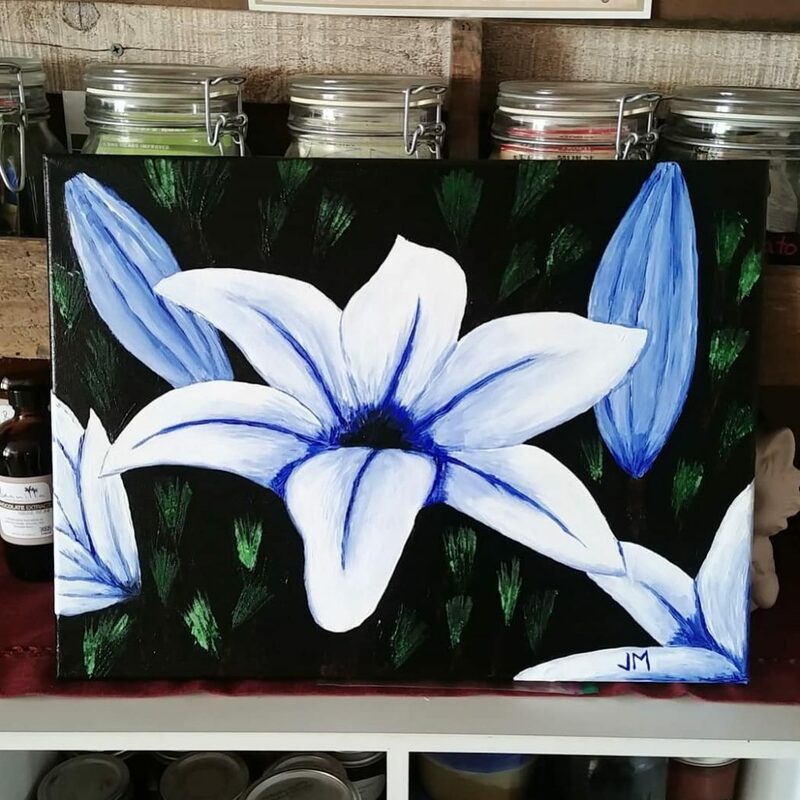 This painting is a new experiment for me, where I took a photo of a white lily I had seen and converted it into an artistic interpretation. I chose to leave the stamens out of the flower to keep the flower pristine and perfect – white, with a hint of blue. I tried a new technique for background leaves as well that I really like, giving just the impression of leaves without taking the focus away from the flower.